Comes in two colours (charcoal and aqua) and fits most bread loaves. Resealable with metal clips. Can be put in the freezer, and the inside can be pulled out for easy cleaning. *NEW* These environmentally friendly reusable bread bags are certain to come in handy when visiting our Bakehaus. 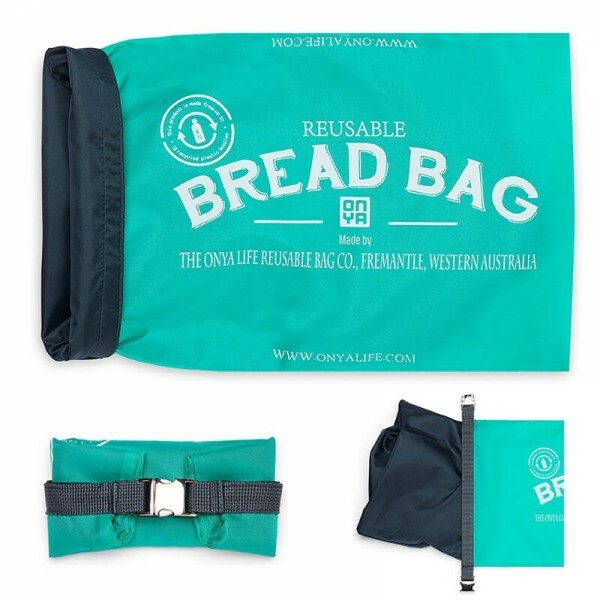 Made by Western Australia’s Fremantle based company ONYA, a certified B Corporation whose goals are to introduce more reusable items into our everyday lives, and minimise the plastic waste we make.